Within Teamwork Projects, you can disconnect your site from the Teamwork Projects for Chrome extension. If you are experiencing problems creating items via the extension, try disconnecting and adding your site again. 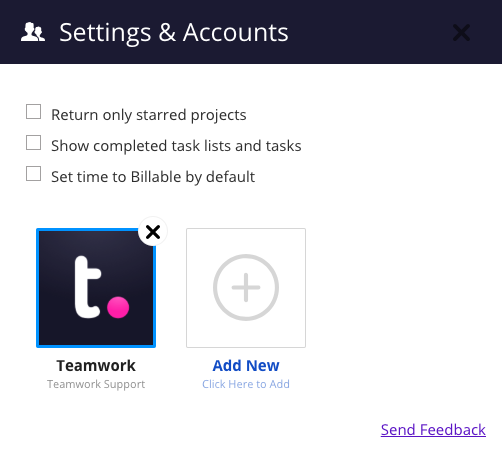 You can do this by clicking the Teamwork extension icon in your tool bar and then select the settings cog icon. You will then see all of the sites you are currently connected to listed here. Hovering over each one shows an X that you can click to disconnect it.